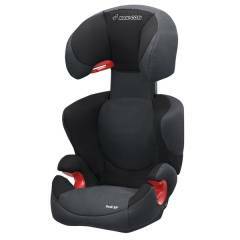 The Maxi-Cosi Rodi XP is designed to make every journey safer and more comfortable for your older child. It’s suitable for use from the age of around 3½ years until 12 years old (15-36kg). 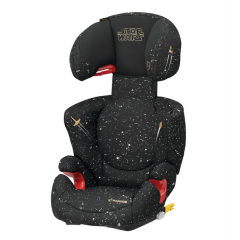 It has a spacious ergonomic design, which raises your child up and provides essential back and head support. Designed to grow with your child, it provides extra protection if an accident occurs. Fixing firmly in place in your car using the three-point seatbelt, it has an additional headrest anchor for stability. And it’s light to carry making it easy to move between cars if necessary. The Rodi car seat uses your car’s three-point seat belt to hold your child securely if you have to make a sudden stop. And it features Maxi-Cosi’s Side Protection System, designed to offer extra protection from the impact of side-on collisions too. It also has an area of lumbar support. This can be adjusted as your child grows and provides added protection for your child’s back and hips. The Rodi XP extends upwards as your child grows in height. Accessed from the top, it’s easy to make this adjustment even if your child is sat in the seat. This also ensures that the seat belt is always held in the optimum position and won’t dig into their neck. Fitting the seat belt in place is simple, with easy to use belt hooks that hold it in place and allow it to expand and recoil as normal. Designed for use over many years, it’s reassuring to know that the cover can be removed and washed to keep it hygienically clean. There’s also a choice of accessories, such as the Maxi-Cosi Pocket and spare covers if you want to change the look.